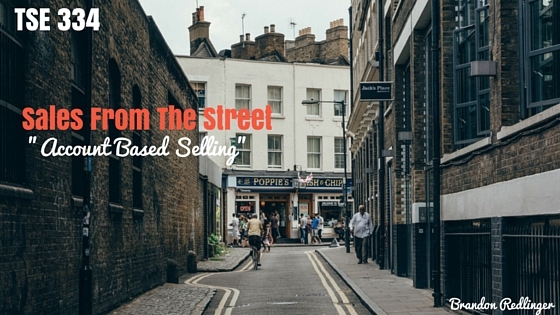 Today, we discuss the idea behind account-based selling. 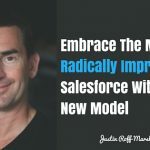 I’m bringing in Brandon Redlinger who’s giving us insights into the challenge they had with account-based selling, what they did to overcome that, and the results they’re seeing right now. Brandon is part of the team at PersistIQ, an outbound sales platform that helps salespeople become more effective by focusing on the most important activities. Brandon underlines the fact that the best sales reps are good at building human relationships so they’re helping sales reps find that balance between automating things and bringing the human element back to the actual communication side of things. Fully dive into it and talk to other people. 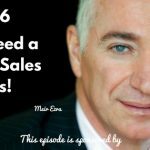 Talk to other sales leaders who are taking the same approach. Figure out what they’re doing and bounce ideas off each other and implement them. Once you have the strategic approach, add the tools and technology to really help you get there. Your strategy needs to be aligned throughout the entire organization. Make sure it’s the right approach for your organization. Make sure account-based makes sense of your business and economics. Get buy end from the entire organization. If marketing is still targeting individual leads, then you can’t get the flywheel cranking and get the account you’re targeting up and running as quickly as than if you get the entire organization on board. Take a look at your current customer base and what your biggest accounts have in common. Define that account and drill down from there. Build a persona for each of the decision-makers. Have a different message and value proposition for each one of these people. There may be more than one department involved in the decision-making process. Call, send an email, do social selling, send in whatever over a certain amount of time at a specific cadence. Work all pre-qualified accounts until they close. Bringing the human element back to sales. Make sure that targeted account selling is right for you and your business. Make sure it’s aligned throughout the entire organization so you won’t be wasting your time, energy, and resources that could set your business back. Make sure it’s economically right for your business. Reach out to Brandon through email at brandon@persistiq.com or check out more about account-based approach on their blog www.persistiq.com/blog or follow them on Twitter @PersistIQ.